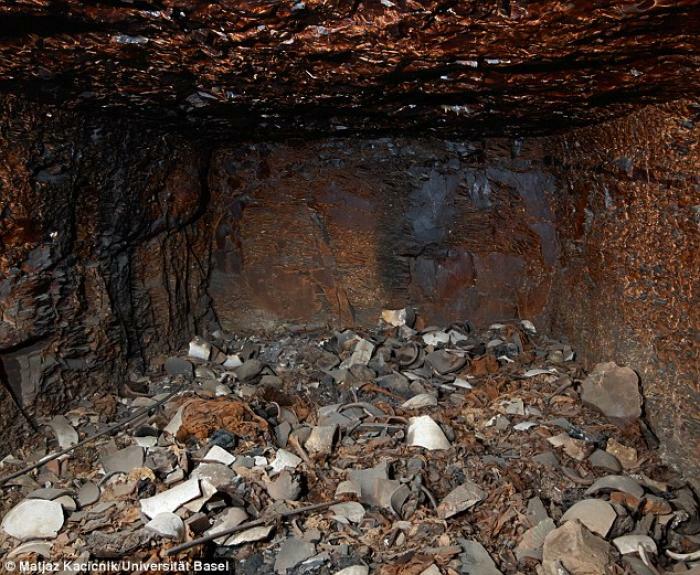 Researchers have found a heavily desecrated Egyptian tomb. It appears whoever ransacked the tomb set the place alight. Called KV 40, the area is part of the royal tombs in the Valley of the Kings, about 310 miles south of Cairo. 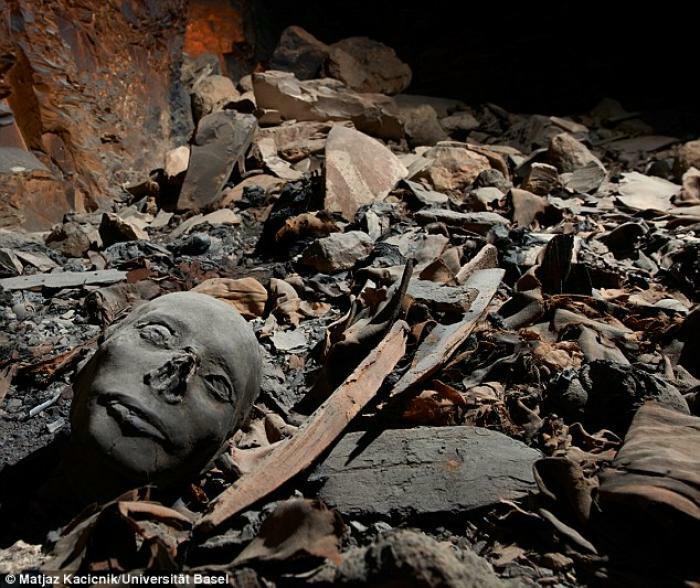 Among the wreckage were the charred remains of least 50 mummified Egyptians. Egyptologists identified the burial place of several children as well as other family members of two pharaohs. LOS ANGELES, CA (Catholic Online) - The remains are believed to be members of the ancient Egyptian elite. Inscriptions imply that the tomb contains a prince and princess, related to two pharaohs who ruled during the 14th century B.C. Covered in soot, excavations have proved difficult. Researchers think the fire was started by grave robbers in the late 19th century. Shop for mom today. Buy her a gift she'll love! A tomb containing up to 50 mummified remains has been found in the Egyptian Valley of the Kings. Pictured can be seen fragments of coffins, cloth and pottery within tomb KV 40. The tomb was used twice, once in the 18th dynasty (14th century BC) and again in the 22nd dynasty (9th century BC). Work on tomb KV 40, near the city of Luxor has been ongoing for three years. Only a depression in the ground indicated the presence of a subterranean tomb. The tomb was found in the Valley of the Kings, a valley in egypt where pharoahs and nobles from the 18th, 19th and 20th dynasties (known as the 'New Kingdom') in Ancient Egypt were buried from the 16th to 11th century BC. Amongst other tombs, the valley is famous for containing that of Tutankhamun. Nothing was known about the layout of tomb KV 40 until just recently. Egyptologists assumed it was a non-royal tomb dating back to the 18th dynasty, from the years of 1543-1292 B.C. Clearing the 20-foot deep shaft, researchers were given access to five subterranean chambers before recovering the countless remains and fragments of funerary equipment. Scientists discovered mummified remains of at least 50 people in the center chamber and in three side chambers. Egyptologists were able to identify and name over 30 people. 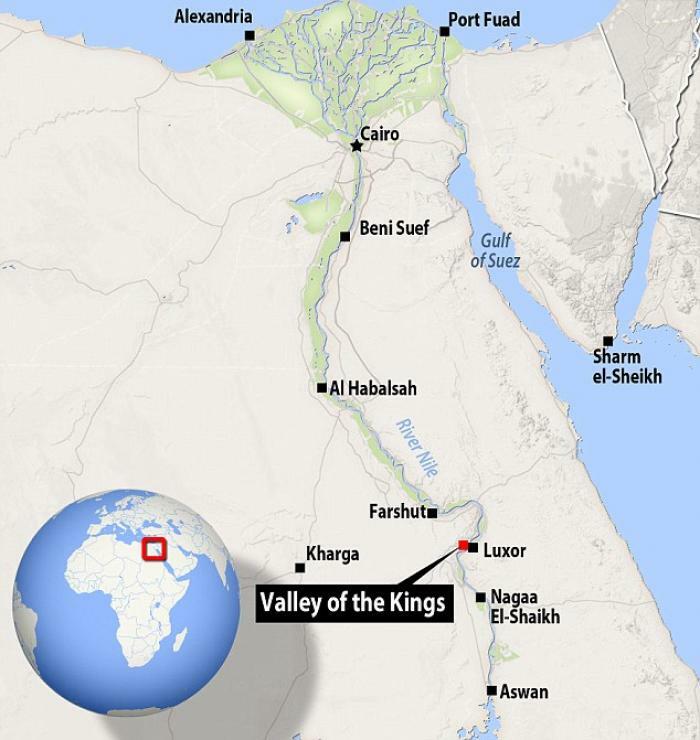 This is a panorama view over the area in the Valley of Kings investigated by the University of Basel Kings' Valley Project. Tomb KV 40 is located directly next to tomb KV 64 and was first discovered by the Basel Egyptologists in 2012, but it has only recently been excavated and studied. Titles such as "Prince" and "Princess" distinguish the buried as members of the families of the two pharaohs Thutmosis IV and Amenhotep III, also buried in the Valley of Kings. Both pharaohs belonged to the 18th dynasty and ruled in the 14th century B.C. Inscriptions revealed that tomb KV 40 contains the mummified remains of at least eight hitherto unknown royal daughters, four princes and several foreign ladies. Mummified children were also found. "We discovered a remarkable number of carefully mummified newborns and infants that would have normally been buried much simpler," Egyptologist Professor Susanne Bickel says. "We believe that the family members of the royal court were buried in this tomb for a period of several decades." Tomb KV 40 containing the newly discovered remains was found about 20ft (six metres) underground with a corridor, a central room and three side rooms. Most of the walls and ceilings are black from heavy fire, believed to have been caused by regular plunderers in ancient times but also as recently as the 19th century. Identifying those buried in the proximity of the royal tombs yielded important insight into who had the privilege to spend eternal life close to the pharaoh. "Roughly two thirds of the tombs in the Kings' Valley are non-royal," Bickel added. "Because the tombs do not have inscriptions and have been heavily plundered we so far have only been able to speculate on who lies buried in them."